Adelaide has been selected as the host city of the 2020 Fringe World Congress, which will be held to coincide with Adelaide Fringe’s epic 60th anniversary. Established in 2012, the Fringe World Congress is the only formal gathering of international Fringe representatives and brings together directors and organisers of Fringe festivals from across the globe to share ideas and network. It will be the first time the biennial Congress has been held in the Southern Hemisphere with recent events held in Edinburgh and Montreal. Adelaide Fringe Director and CEO Heather Croall said winning the bid to host the World Congress was a major coup for South Australia’s arts community. “We’re delighted that we’ll be celebrating Adelaide Fringe’s 60th Anniversary with the worldwide Fringe family by hosting the Congress in 2020,” Ms Croall said. World Fringe Managing Director Holly Lombardo said she was delighted that the next Congress would be held in Adelaide. Adelaide Fringe is the world’s second largest fringe festival after Edinburgh and both festivals’ long-term success has seen fringe festivals pop up in more than 275 cities across the globe. Edinburgh Festival Fringe Chief Executive Shona McCarthy said she was thrilled to hear Adelaide would host the next Congress. “It’s a wonderful opportunity for creative learning and exchange and for fellow Fringe festivals around the world to join Adelaide in celebrating its special birthday year. Edinburgh Festival Fringe can’t wait to join our fellow ‘fringers’ in the Southern Hemisphere,” Ms McCarthy said. Another major drawcard for international delegates is the Adelaide Fringe’s Honey Pot arts marketplace, which is held during the festival each year. Ms Croall said Honey Pot aimed to support performers in sharing their work and provide a dynamic matchmaking service for artists and industry delegates. “Honey Pot will not only benefit artists who have the opportunity to meet with international festival directors and programmers but also delegates of the Fringe World Congress who will also have the opportunity to network with these arts industry heavyweights,” Ms Croall said. The Fringe World Congress will next be held as a part of the 2020 Adelaide Fringe (February 14 to March 15). PHOTO: Trentino Priori. 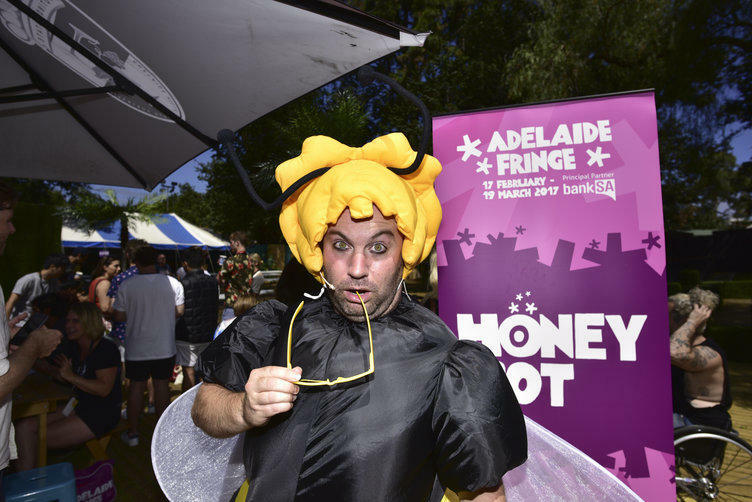 Another major drawcard for international delegates is the Adelaide Fringe’s Honey Pot arts marketplace, which is held during the festival each year.